It’s not too late to sign up to have your boat be part of the parade! The boats will be judged by our secret panel of judges and the most festive will get bragging rights all year long. Think you can beat Captain Chris Keen, our reigning champion, then sign up on holycitysailing.com or stop by the Marina offices. New this year is the Tacky Sweater Contest. 1st Place win an ice cream cone a week for a full year from The Ice Cream Boat. 2nd Place wins a $50 gift basket from Doin’ the Charleston. 3rd Place wins a $25 gift card from Red’s Ice House. 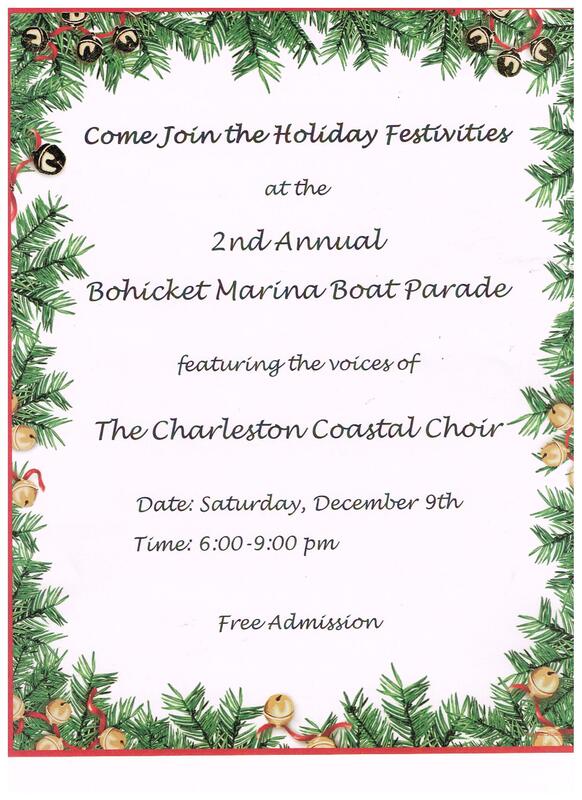 Come share in the holiday spirit at Bohicket Marina with all of your friends and neighbors.